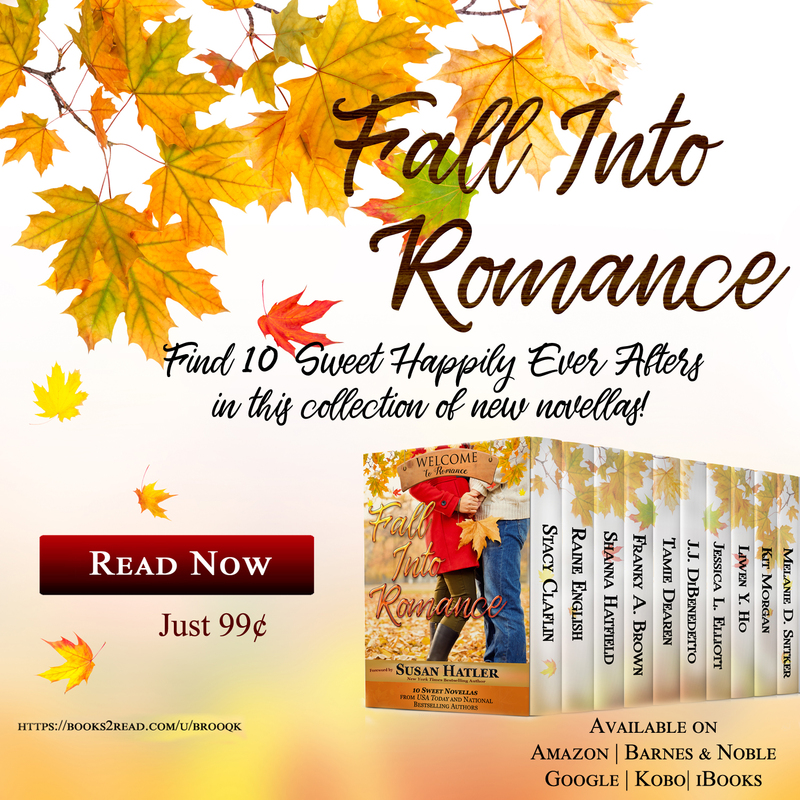 Surround yourself in the romance of the autumn season with 10 heartwarming, sweet novellas from USA Today, national bestselling, and award-winning authors. Each story takes you inside the heart of a small town—its people—and features adorable animal friends in need of a forever home. 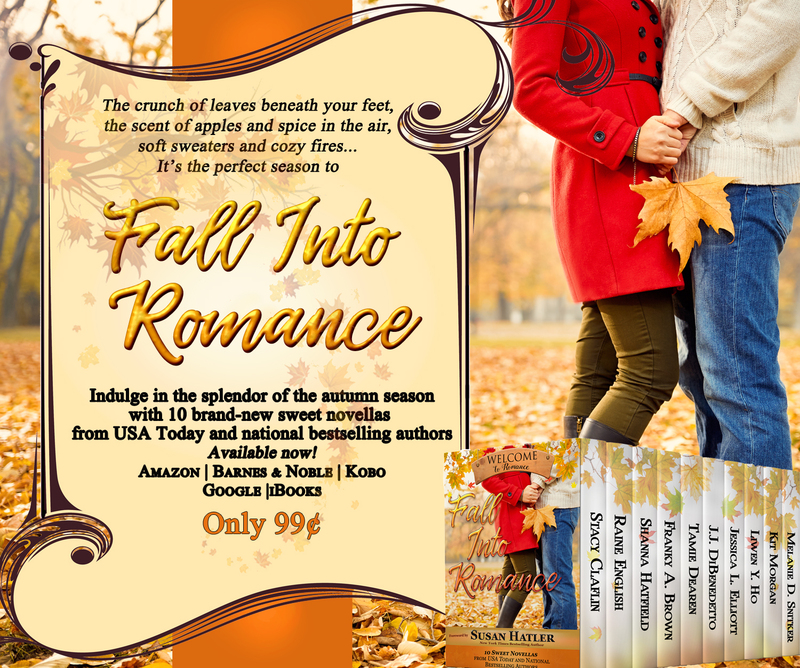 Take a trip to Romance, Oregon, where falling in love has never been easier and happily-ever-after is guaranteed! Brent’s hands are so full he doesn’t realize his heart is empty. But how can he convince Nicole to trust him and give them all a chance at the forever family they deserve? Work is Alisyn’s life. Everything is perfect until the day her boss’s son comes to town and takes her breath away. Will she risk it all for love? Can an ornery French bulldog help a mismatched couple find love? 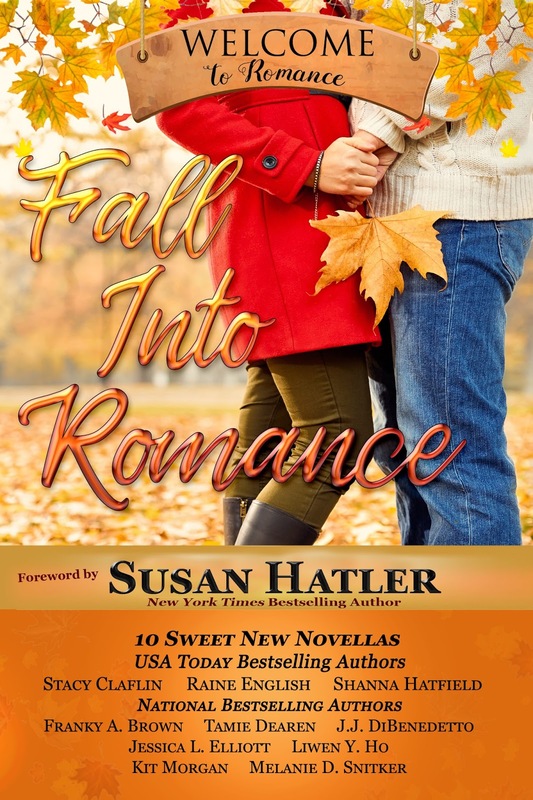 Free spirit Brooke Roberts blows into Romance like an autumn storm, unprepared to fall for the handsome rancher who gives her a reason to stay. Electrician Josh Chadwick can rewire his new client’s house, but he can’t do a thing about the electricity sparking between them. She’s a big city chef who likes cats. He’s a small town mayor who restores antiques. But even with feline allergies at play, true love is nothing to sneeze at. Five years ago she pushed him out of her life, but she couldn’t force him from her heart. When pop sensation Chase Lockhart wants more than a room at Izzy Sutton’s Bed and Breakfast, she must decide whether it’s worth opening up her heart to him, especially when he’s eleven years her junior. A rooster, a tortoise and love, oh my! Now if the humans could just figure out the love part, they might all live happily ever after. Franky A. Brown has always called the South home and loves to write about it. She holds an English degree from the University of South Carolina and can’t seem to stop reading. She is the author of women’s fiction and chick lit about life, love, and Southern women. Stacy Claflin is a USA Today bestselling author and a lifelong storyteller. When she was a child, she would get into trouble for trying to convince others that her stories were real. She scarred her younger cousin for life with her Cavity Monster tale. Another time, she convinced her friends that her grandfather had made her a robotic unicorn. Now she saves her creative imagination for novels. Whether Stacy’s writing urban fantasy, suspense, or contemporary romance, she always has thrills, twists, and turns. You can count on surprises and an enjoyable escape. Tamie met her husband as a freshman in college when she acted out of character on a whim. One night in the library lobby, she spied a cute guy with his first name written on the back of his shirt. She called out his name. When he approached to talk to her, she pretended that she’d met him before, asking about his classes and how he liked college. To her surprise and delight, he also pretended that he knew her, but of course he didn’t know her name. They continued this false relationship for two months. Each time they saw each other, an event which occurred three times per week at the cafeteria, he would pretend he knew her. Meanwhile, all of Tamie’s friends were careful not to reveal her name to him. When he finally admitted his ignorance of her name, he was astonished to learn the truth. And the rest is history. 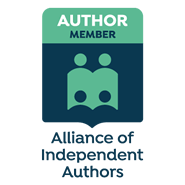 J.J. DiBenedetto is author of the Dream Series and the Jane Barnaby Adventures and lives in Arlington, Virginia with the love of his life and a white cat who rules the roost. His passions are photography, travel, the opera, the New York Giants, and of course writing. Since he was very young, he has always been intrigued with the supernatural and things that can’t be explained rationally. By always asking way too many questions, it piqued his interest to the point of setting his writing off and running when he grew up! All the curiosity building up all those years was finally put into words to captivate readers. And it hasn’t ended. His main goal is to share all the stories he has inside, putting pen to paper. And that’s how the Dream Series was born. For as long as she can remember, Jessica L. Elliott has been telling stories. As soon as she could grasp a pencil she began writing those stories down. Reading fueled her imagination, as did spending time with her five younger brothers and sisters. Everything was an adventure, something to be treasured and stories were her first love. Jessica began seriously writing in high school and continued into college while attending Emporia State University where she graduated with a bachelor’s degree in Elementary Education. She wrote and released her first novel, Charming Academy, in August of 2011. Jessica currently lives in southwest Kansas with her husband and children. Convinced everyone deserves a happy ending, USA Today Bestselling Author Shanna Hatfield is out to make it happen, one story at a time. When she isn’t writing or indulging in chocolate (dark and decadent, please), Shanna hangs out with her husband, lovingly known as Captain Cavedweller. In her pre-author life, she received a Masters degree in Marriage and Family Therapy from Western Seminary, and she loves makeovers of all kinds, especially those of the heart and mind. She lives in the San Francisco Bay Area with her techie husband and their two children, and blogs about her adventures as a recovering perfectionist at http://www.2square2behip.com. A consistent Top 100 lists bestseller, Kit Morgan, aka Geralyn Beauchamp, has been writing for fun all of her life. When writing as Geralyn Beauchamp, her books are epic, adventurous, romantic fantasy at its best. When writing as Kit Morgan they are whimsical, fun, inspirational sweet and clean stories that depict a strong sense of family and community. ‘His Prairie Princess’ is the first of the Prairie Brides books and the first in the series of a long line of stories about Clear Creek, Oregon. One of the wackiest little towns in the old west! Get to know the townsfolk in Clear Creek and come sit a spell! 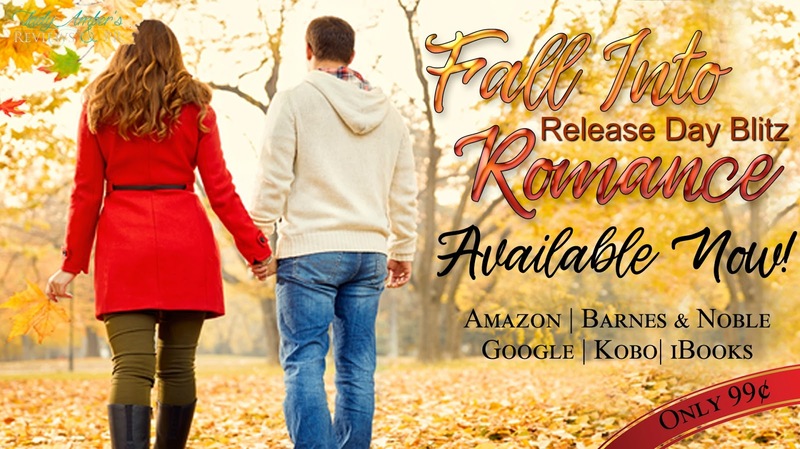 Melanie D. Snitker is the author of the inspirational romance Love’s Compass series. She has enjoyed writing for as long as she can remember. She started out writing episodes of cartoon shows that she wanted to see as a child and her love of writing grew from there. She and her husband live in Texas with their two children who keep their lives full of adventure, and two dogs who add a dash of mischief to the family dynamics. In her spare time, Melanie enjoys photography, reading, crochet, baking, target shooting, camping, and hanging out with family and friends.